Before there was Day 26 and Danity Kane, MTV and Diddy brought us some epic reality TV with ‘Making The Band‘ back in 2002. 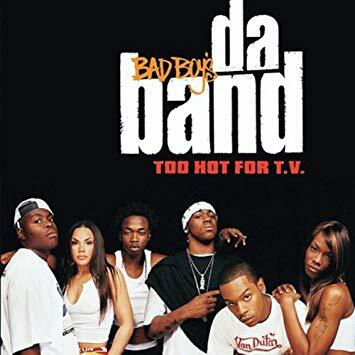 The hit series produced the Hip Hop group Da Band which consisted of rappers E.Ness, Babs, Dylan, Freddie, Chopper “Young City” and the sole singer, Sara Stokes. The group not only brought drama and iconic reality TV moments to the show, they also produced a few hits with “Bad Boy This, Bad Boy That” and “Tonight” which both landed on the Billboard Hot 100 chart. Their self titled debut album ‘Too Hot for TV’ went gold, but the group dissolved after the show’s third season and they all parted ways. Well now after all these years, the gang is coming back together for a reunion show according to one of the original members. We’re here for it! now can we get a “Making The Band” revamp!? Full House Set To Return for New Series in 2014? The Dream Proposes a Mega ‘Kings of R&B’ Tour with R.Kelly, Usher, Tank, Chris Brown, Trey Songz, Bryson Tiller & H.E.R.